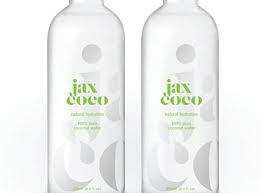 As Hong Kong-based jax coco looks to expand its brand into Canada, they have appointed DDB Public Relations (DDB PR) as their Canadian agency of record to help raise awareness and drive sales for the premium line of coconut water. ‎In their first assignment as new AOR, DDB PR will implement a robust public relations program, commencing at the 2013 Toronto International Film Festival (TIFF). jax coco named DDB PR its agency of record following a competitive pitch process involving a number of Canadian agencies earlier this summer. Fun Fact: One of ‎jax coco‘s Co-Owners is none other that Elton John.